Chevrolet Spark Stripes, Spark Vinyl Graphics, Spark Decals and Body Striping Kits. Small cars look great with vinyl graphics, and the Chevy Spark could use a set of stripes or decals! 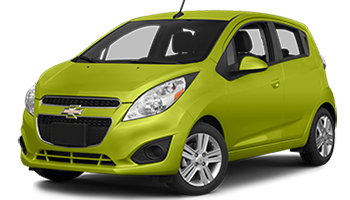 Below you'll find a wide variety of Chevrolet Spark vinyl graphics and Chevy Spark Stripe Kits for the model years indicated. Featured here you will find the ARC - Lower Rocker Panel Side Stripe : Chevy Spark Vinyl Graphics Decals Stripes Kit, the SPARK FLASH - Lower Rocker Panel Side Stripe : Chevy Spark Vinyl Graphics Decals Stripes Kit, the SPARK RALLY - Racing Stripes : Chevy Spark Vinyl Graphics Decals Stripes Kit, the SPARK OVER - Upper Body Striping : Chevy Spark Vinyl Graphics Decals Stripes Kit, and many more side door graphic styles, hood racing stripes, and lower rocker panel decals. Choose one of these popular vinyl striping styles today!